In any given moment, no matter how much we know, no matter how detailed and secure our arrangements, there remains an infinite number of unknowns, unknowables, uncertainties. Every moment is alive with this. In a very real sense, we are beginners in every moment. 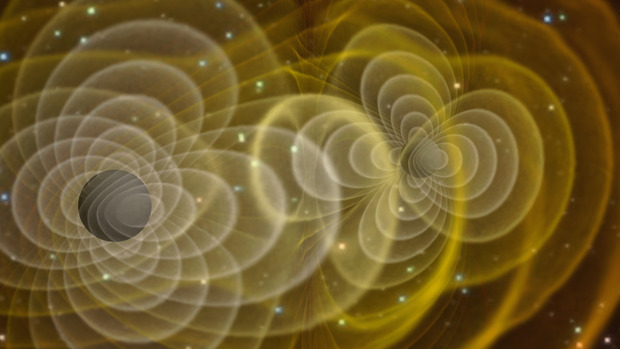 Last year, for the very first time, scientists observed ripples in the fabric of spacetime. They believe these tiny ruffles in space and time that they detected were created when two black holes sunk into each other and merged into a single more massive hole 1.3 billion years ago. As part of his theory of relativity, Einstein had mathematically concluded that these ripples, called gravitational waves, existed. Later, he would flip-flop several times: publishing papers that reversed that position, abandoning it, then taking it back up again. One of the most spectacular physicists of all times worked from a place of not knowing, of probing into and re-examining his own assumptions about both what is known and what is not. Knowing can be comfortable. Not knowing can feel risky and vulnerable. Sometimes these uncomfortable feelings are exactly what lead us into an understanding, or a connection. Newtonian physics works incredibly well. Einstein’s theory of relativity predicted amazing phenomena that scientists are finally able to observe 100 years later. Quantum mechanics has opened up an entirely different perspective on reality. They are all true. And yet, they are all at odds with one another. Let us accept that, much as we know and continue to learn, we do not understand everything. The universe remains chock-full of mysteries. The human heart, mind and soul are universes of their own, as complex and varied as the physical world. Acknowledging ‘I don’t know’ opens the door to some of our most human qualities – curiosity, astonishment, empathy. What notion or fear is tugging at you, asking to have its knots teased apart? Do you have a recurring idea, perhaps that you don’t have enough time? Is this idea true? What thought has become entrenched and inflexible that would like to soften into a place of understanding? What might want to be peek out from under the cover of ‘knowing’ into a place of inquiry? This entry was posted in Connection, Curiosity, To Begin Again, Uncategorized and tagged Albert Einstein. Bookmark the permalink.